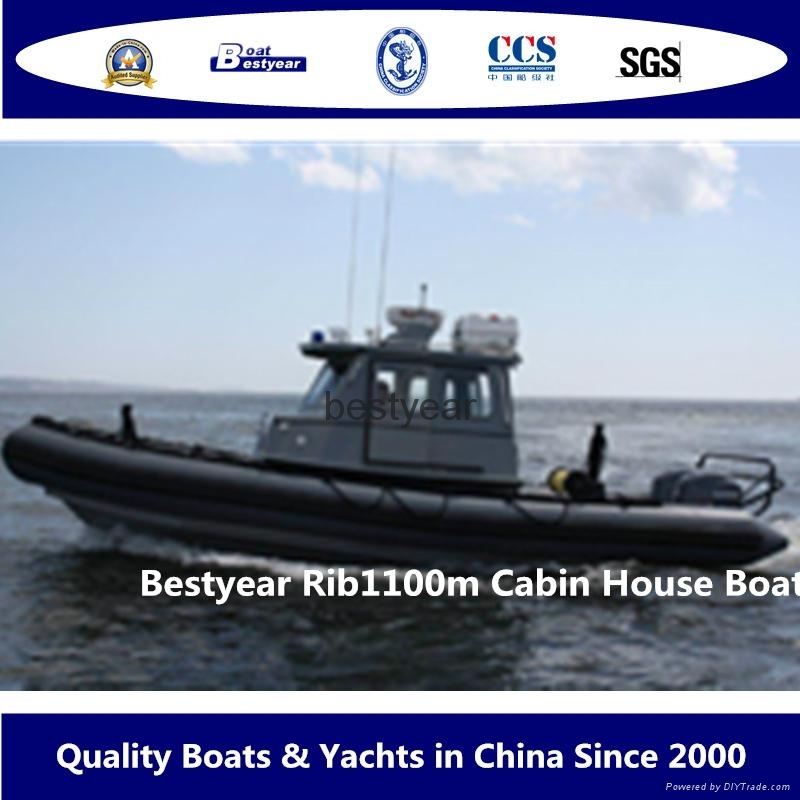 Fiberglass hull, hypalon tube,For rescue or military or patrol. Cabin with front and rear door or not. This boat can make to 9.1m to 10m as well.